Yay! My June UFO (and my One Monthly Goal) is now just an FO. I just love these colors! On another note, I'm participating in a couple of awesome swaps. I'm in the Wonderland Swap #wonderlandswap and a Game of Thrones swap #gotcraftswap16. I'm very excited to get started! I know it has been forever since I have posted to my blog, but I feel like I'm ready. My job has stopped causing me to travel so much and I'm working just a mere 45 hours a week. You know what that means? I finally have time to quilt. I want to put this out there so that I am held to it. 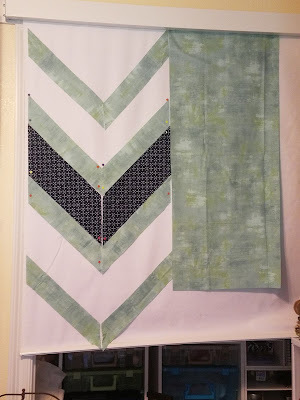 My goal from now until the end of the year is to complete 1 UFO quilt per month. 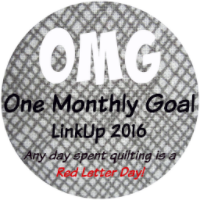 I will be linking up with OMG (ONE Monthly Goal) over at Red Letter Quilts. May's is at the completion point, so I am ready for June! This bad boy will be quilted and ready for hand binding by the end of the month. 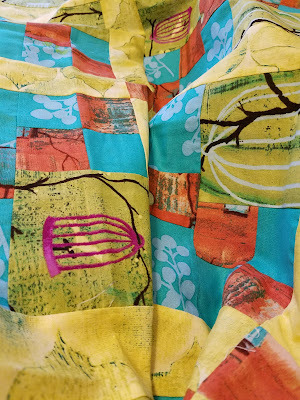 I don't include hand binding in my completions because I like to set those items aside and wait until I am taking a trip or something where I cannot work using my machine. June is going to be unique. I have a 2nd goal. My neighbor has asked ofr a baby quilt. I started cutting pieces over the long weekend and I plan on having it completed by the end of the month as well. I know. These are pretty lofty goals for the girl who 'maybe' only completed one quilt a year until now. 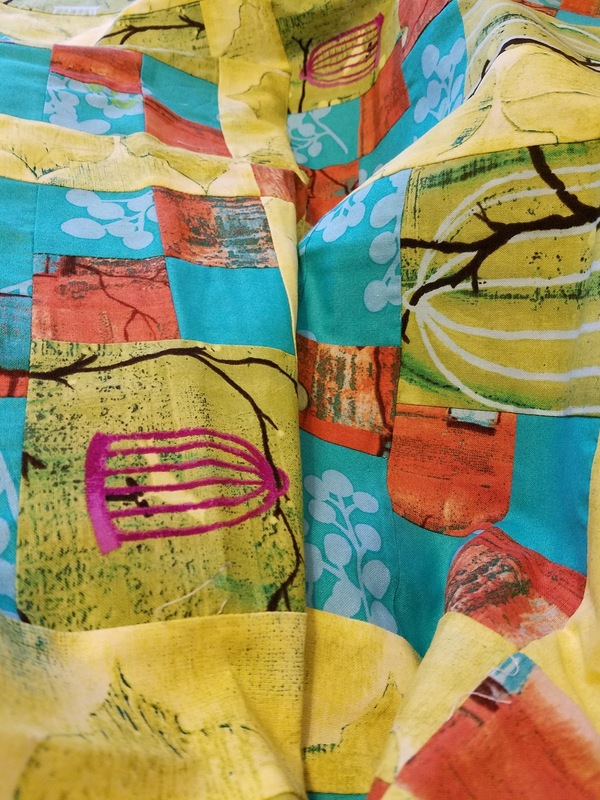 In even more lofty goals news, the neighbor's baby quilt is going to be one of my own design. I am going to try to write up a pattern for my guild members. Should be simple. Boy, it has been a long time since I have written here. You haven't heard the news! 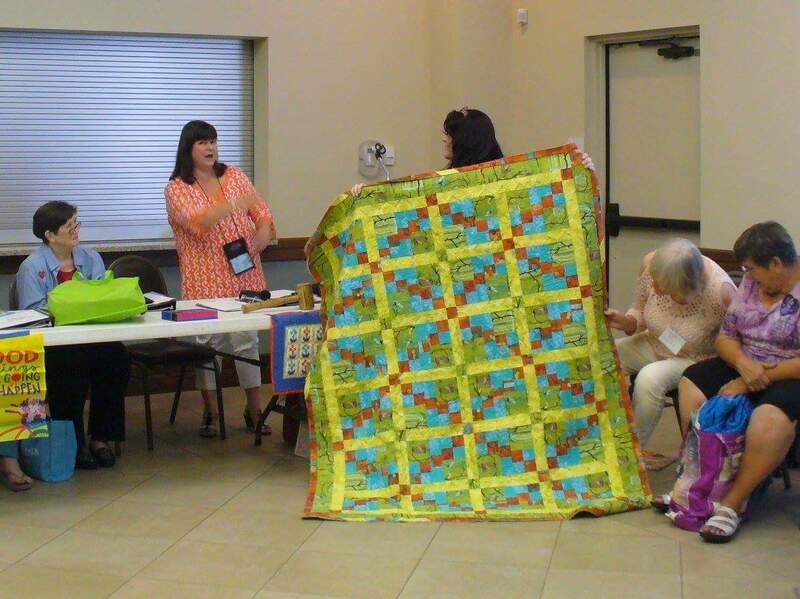 I am a member of both the Modern Quilt Guild and my local traditional guild (North Louisiana Quilters). My MQG has decided to make me VP and my traditional guild has decided to make me President of the moonlight chapter. I know, right? What were they thinking? I am now "nudging" the traditional guild into the digital age. We'll see how far I can nudge before they resort to pitchforks and seam rippers. There is so much more to say, but I will save it for another post.